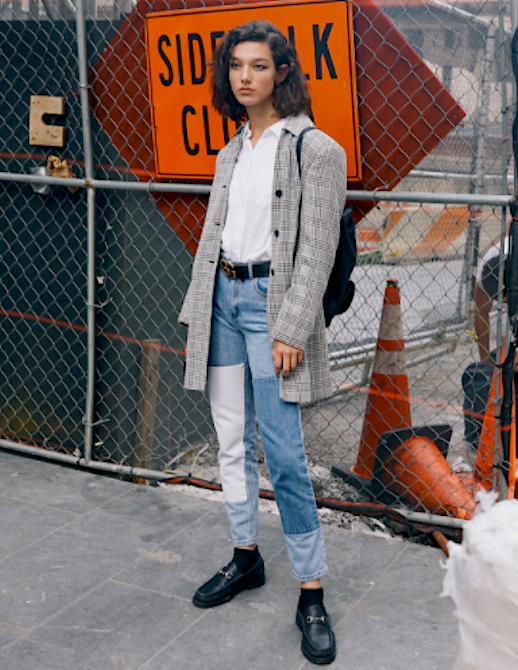 We've been thoroughly enjoying the street style snaps from New York Fashion Week as it provides us with a plethora of fall and winter ensembles to try at home. Model McKenna Hellam was snapped in one of this season's biggest trend: menswear separates. Her grey oversized blazer, white button-down, patchwork-clad jeans, and black loafers created the perfect casual chic look.